This weekend, I took an overnight trip back down to the DMV area for a wedding. 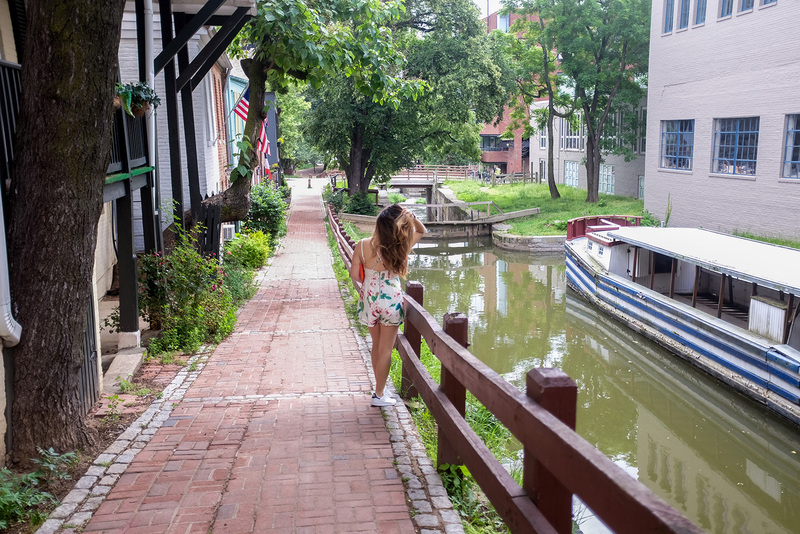 Of course, I had to swing by Georgetown because I didn’t get the chance to do so the last time we were here. We were short on time and didn’t have the freedom of a hired car. 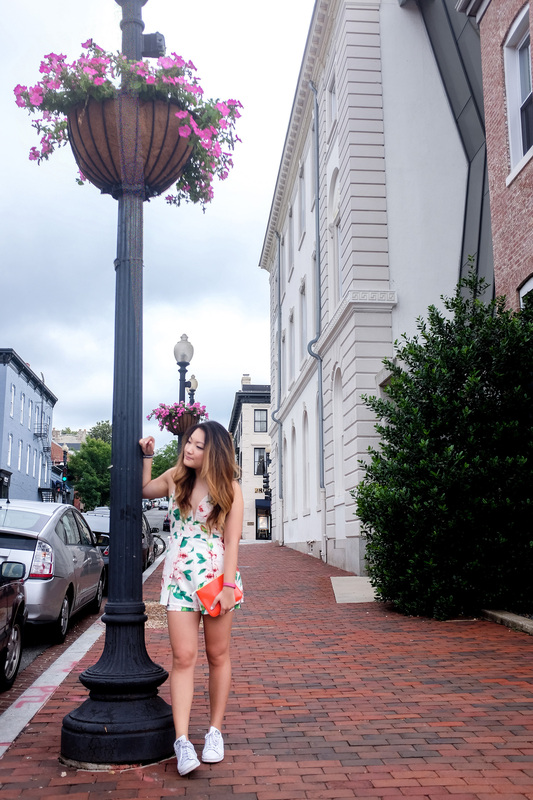 So, I put on this fun floral playsuit and my fave sneakers to roam the neighborhood. I love all the shopping! It reminds me a little of SoHo with the cobblestones and fashionable stores, but just with quaint parts. 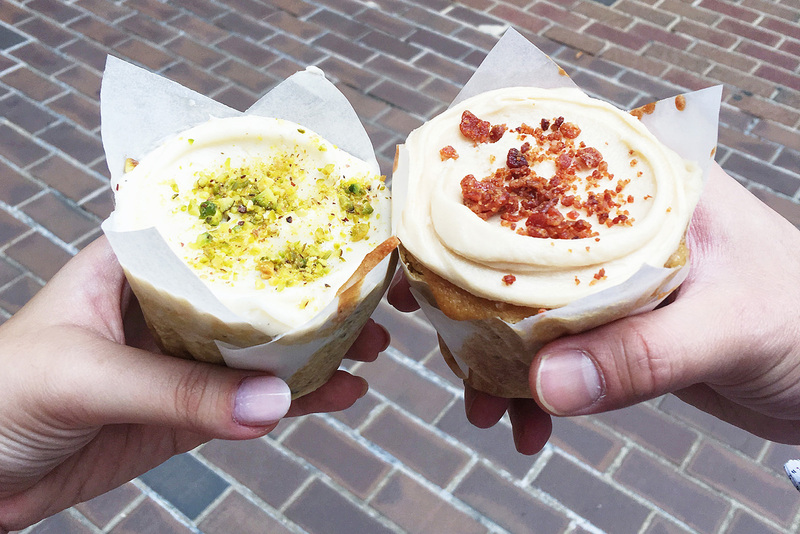 We also stopped by Baked & Wired for some cupcakes — something I really wanted on our last trip. I’ve been loving the site Tobi for trendy fashion pieces, like Lace Dresses and Body Jewelry. 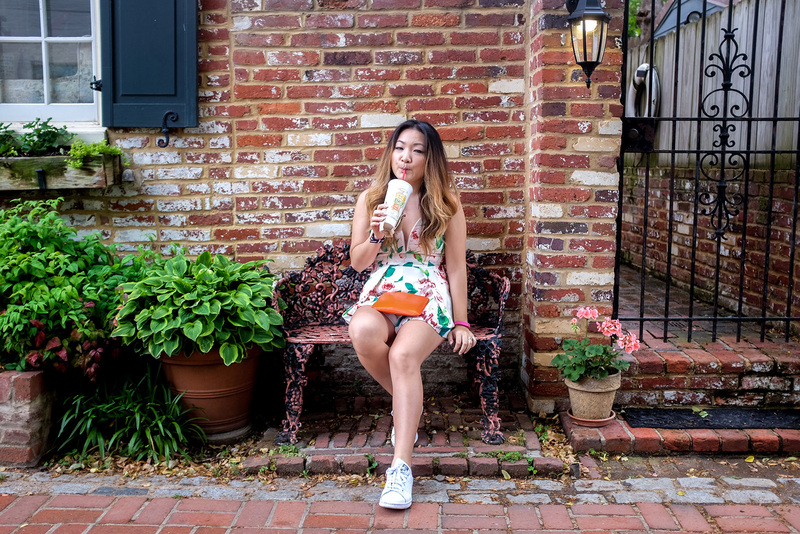 I can’t wait to show you what I wore to the wedding plus more Tobi pieces I have!